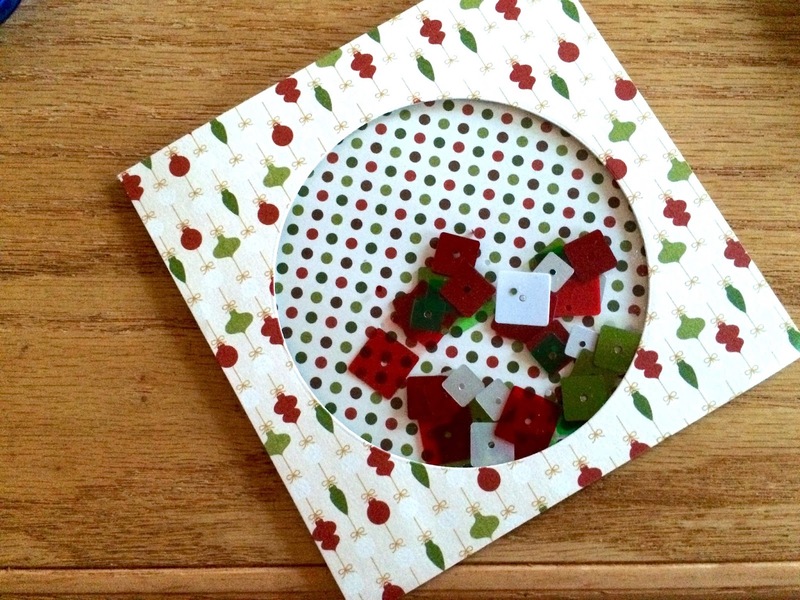 When I saw the ornament paper from the Echo park Paper pad, I knew I wanted to create an ornament and use the sequins that came with the Creative Cafe KOTM for the shaking part. The Creative Christmas kit is full of inspiration. Let's take a look at my card. 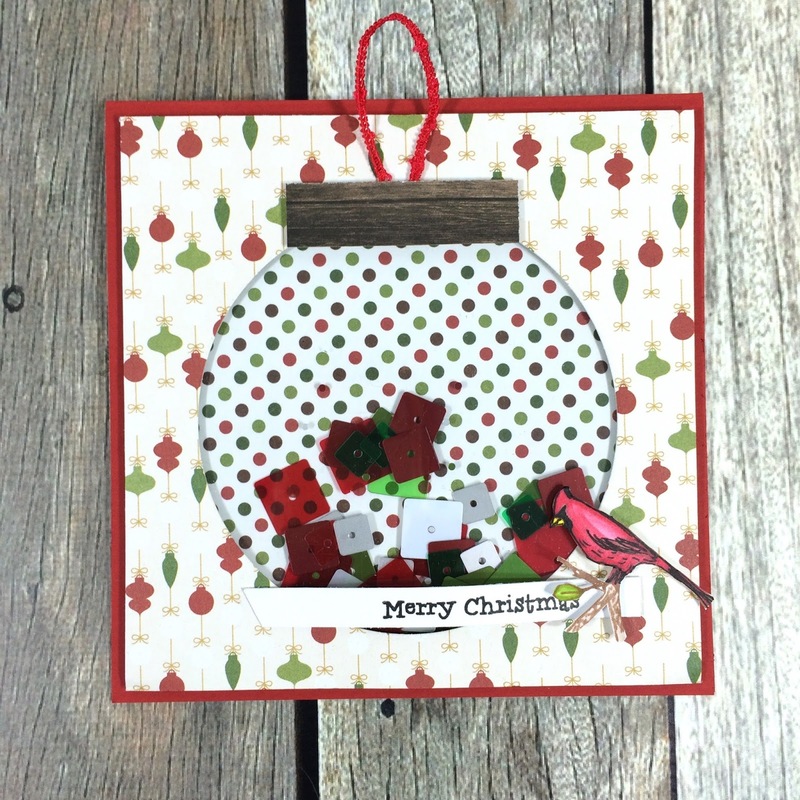 I started with a 4 3/4 x 4 3/4 piece ornament paper. 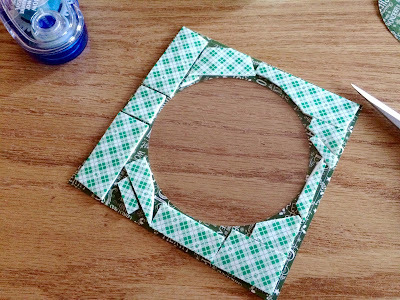 Then I punched a circle with a circle die. 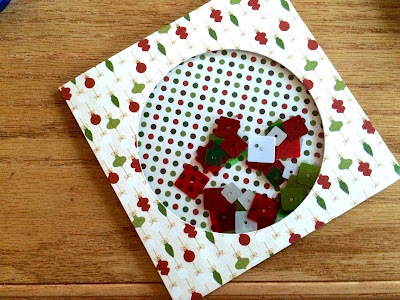 You can use a punch, a Spellbinders die or trace a cup if you want. Then cut a smaller pie of acetate 4 1/2 x 4 1/2 and attach to the back of the circle cut paper. 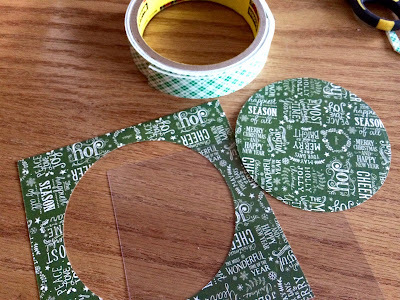 Add foam tape completely around the entire paper portion the back. This will make it so that your shaker pieces do not fall down through. Now add your shaker items and remove the back off of the foam tape. Here I realized that the large word pieces were to fat. I could have doubled my foam to contain them but decided not too. Attach your choice of paper for the back cut to 4 1/2 x 4 1/2. 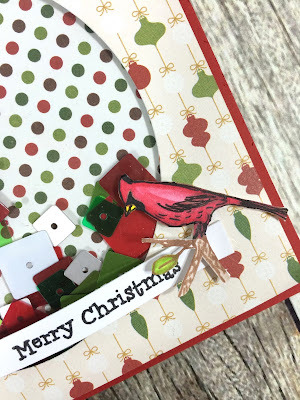 Stamp, color and cut out the cardinal from the add on stamp set - Hearts of the Season. You can see that I also attached a 1/4 x 2 inch piece of woodgrain backed with foam to the top of the ornament. I also stamped my sentiment on a small piece of white. 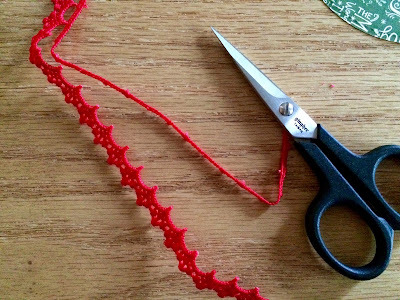 To get the string to hang my ornament, I trimmed the ribbon down like you see here and tucked it back behind the foam. 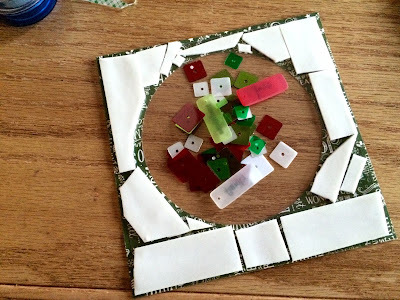 I hope that with all the inspiration you are seeing here on the blog, that you are inspired to start creating with your October Creative Cafe KOTM.